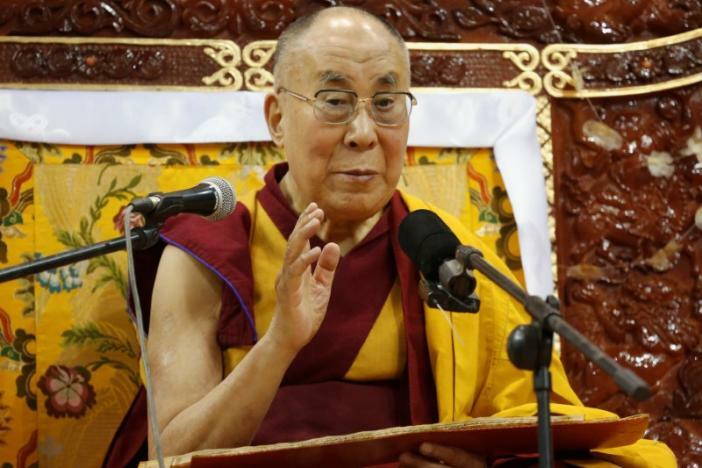 BEIJING DOOMED – 14th Dalai Lama Visits Mongolia. 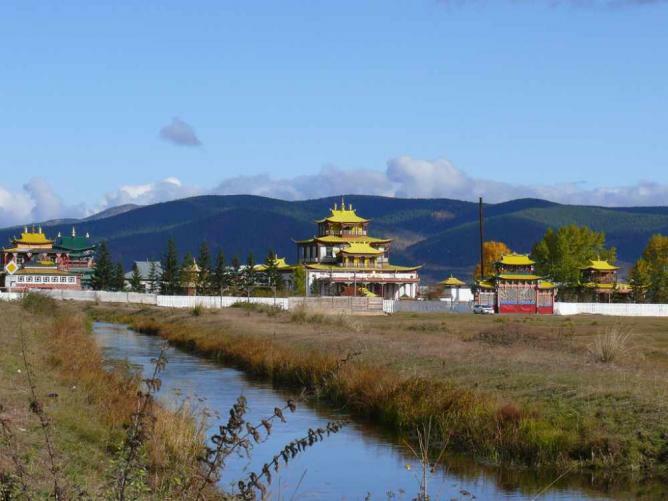 BEIJING DOOMED – 14th DALAI LAMA VISITS MONGOLIA, 19th & 20th NOVEMBER, 2016. In 1574, Mongol Emperor Altan Khan offered Sonam Gyatso the title of ‘Dalai Lama’ which literally means Ocean of Wisdom. Thus Sonam Gyatso became the Third Dalai Lama as the title was applied posthumously to two Lamas whom he represented as reincarnation. In 1588, the Third Dalai Lama died while teaching in Mongolia. The Great Fifth Dalai Lama founded the Ganden Phodrang Government of Tibet in 1642. 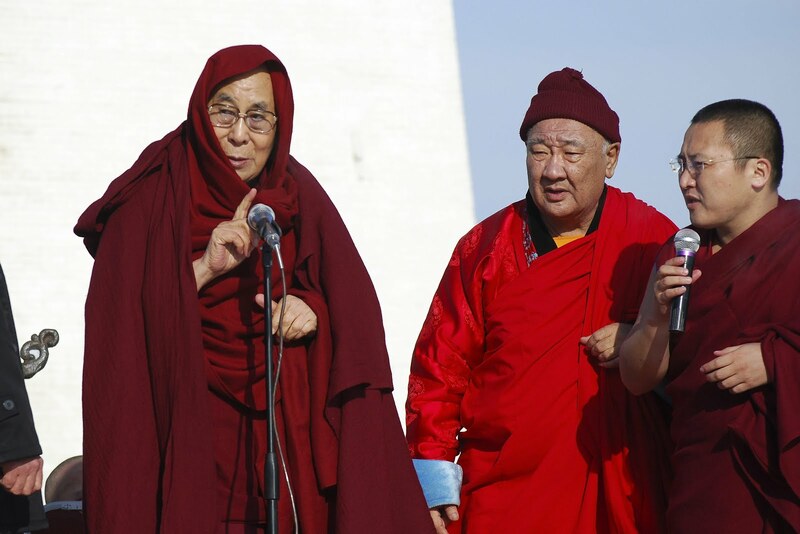 The successive Dalai Lamas have headed the Tibetan State for nearly four centuries. His Holiness the 14th Dalai Lama’s visit to Mongolia is very significant as it attests historical connections between Tibet and Mongolia. Ulaanbaatar, Mongolia, 19 November 2016 – His Holiness the Dalai Lama left Japan for Mongolia late yesterday morning. As the plane descended through the clouds over Ulaanbaatar, a white blanket of snow covered the land as far as the eye could see. 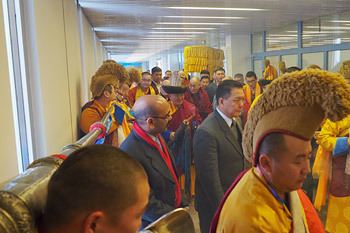 His Holiness was greeted at the door of the plane by Khambo Lama Choi Gyamtso with other senior Mongolian lamas, a representative of the Indian Embassy, and Representative Telo Tulku from Moscow. A large number of monks awaited His Holiness in the arrival hall and he spent a few minutes talking to dignitaries who had come to receive him. He gave a brief interview to Mongolian National Television. 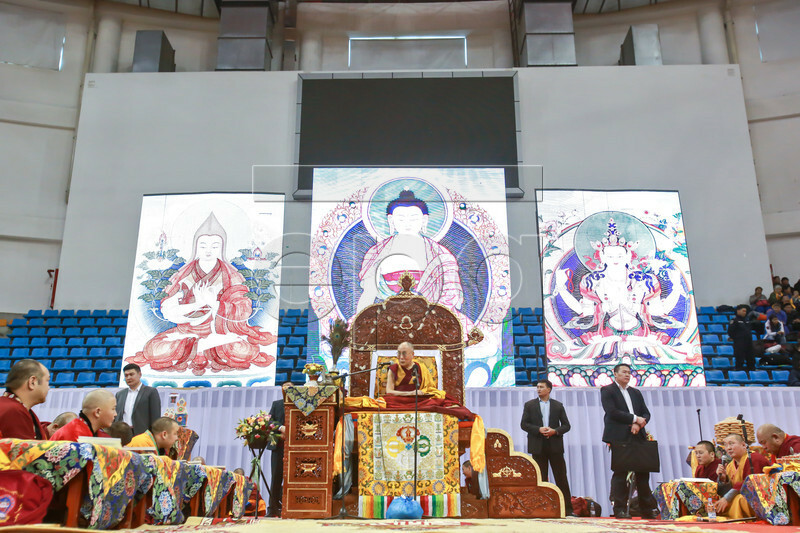 Expressing happiness at being able to visit Mongolia once again, he said he was looking forward to giving Buddhist teachings, visiting Gandan Tegchenling Monastery and interacting with members of the younger generation over the next four days. This morning, a short drive through Ulaanbaatar brought His Holiness to Gandan Tegchenling Monastery. After first paying his respects in the Vajradhara Temple, he took his seat in the Gandan Assembly Hall. 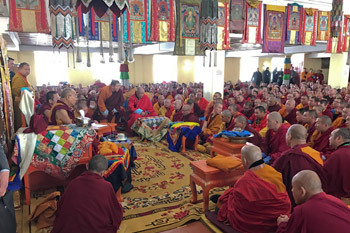 Khambo Lama Choi Gyamtso offered the mandala and three representations of the body, speech and mind of enlightenment on behalf of the entire congregation. Following prayers and a tsok offering, His Holiness gave the oral transmission of his ‘Praise to the Seventeen Masters of Nalanda’. Lunch, offered in His Holiness’s honour by Gandan Tegchenling Monastery, was served in a traditional Mongolian yurt. In the afternoon, several thousand people braved extremely cold weather to greet His Holiness in front of the Avalokiteshvara Temple. He briefly told them too how happy he was to be in Mongolia again. He urged the crowd not only to perform rituals and prayers, but also to study what Buddhist teachings mean. He promised to explain how to do this during teachings he is scheduled to give tomorrow. 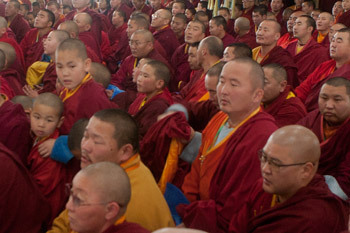 More than 1000 monks packed into the Yiga Choeling Dratsang to listen to His Holiness. He explained to them how he has been holding discussions with modern scientists for more than 30 years, focussing primarily on four fields-cosmology, neurobiology, physics, especially quantum physics, and psychology. Since both sides have learned a great deal from each other, their dialogue has been richly and mutually beneficial. His Holiness also stressed the importance of studying the classic texts composed by Nalanda masters. His Holiness answered several questions from the audience before returning to the Guest House where he is staying. Tomorrow, he will teach Je Tsongkhapa’s ‘In Praise of Dependent Arising’ and ‘Three Principal Aspects of the Path’ and give a permission of Je Rinpoche in conjunction with the Deities of the Three Families. 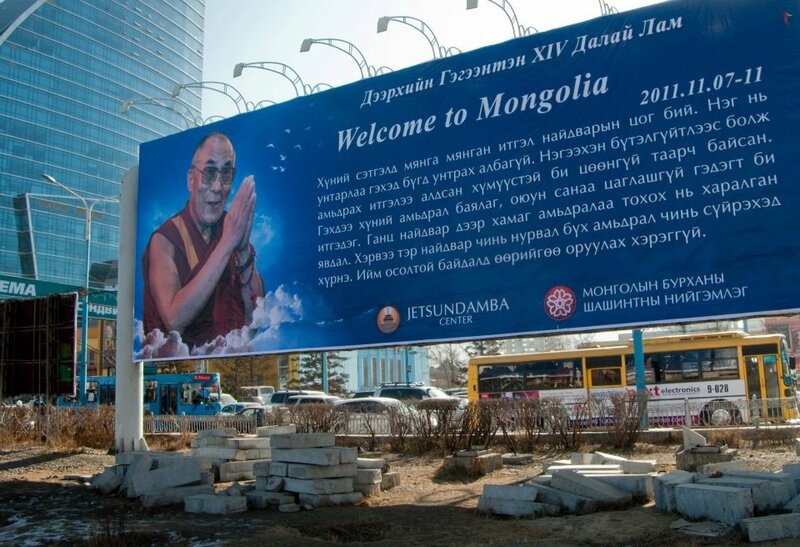 Beijing Doomed – Dalai Lama Visits Mongolia. 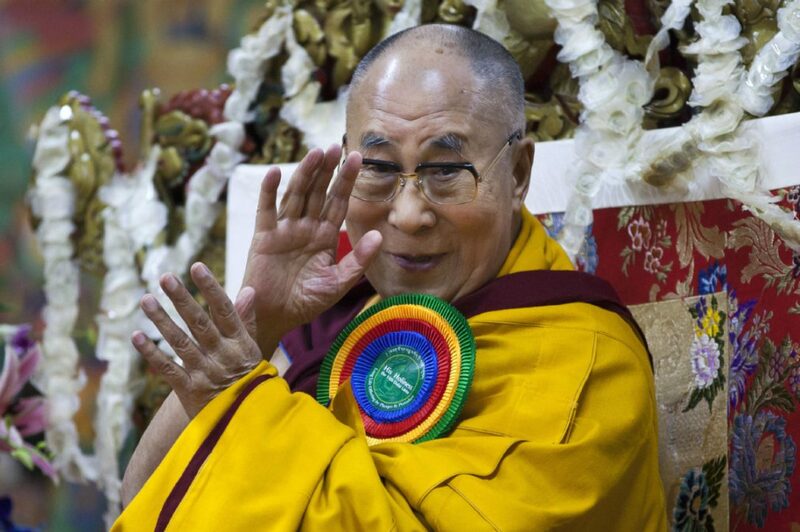 Beijing Doomed – 14th Dalai Lama in Beijing.